At First Floors we offer interest free finance on the purchase of any type of flooring, allowing you to pay for your flooring in manageable monthly instalments, enabling our customers to choose from a much wider range of flooring options. Choose any laminate, luxury vinyl, bespoke rug, carpet, solid or engineered wood floor from £250 up to £15,000 and spread the value at no extra cost. Choose any of our flooring products including wood, laminate, vinyl or carpet up to the value of £15,000 and decide on the monthly payment you would like to make. We can then work out what deposit amount you will need to pay. All we require is a 10% deposit but you can make up to a 50% deposit if you would like to keep the monthly fee at a minimum. We will take you through a simple application form and guide you through the pre-contract explanation before you sign an agreement with our finance company. Once this has been submitted we will receive an agreement within just 10 seconds, after which we can take the deposit, order the flooring product you require and arrange a suitable fitting date. 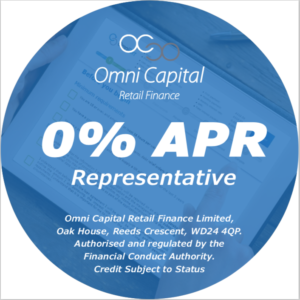 The 0% finance agreement cannot be used in conjunction with any membership offer through Facebook, NHS or other membership discount and it cannot be used with sale items or special offers. If you are taking advantage of our interest free credit payment plan, we cannot discount the flooring using our price match guarantee in the unlikely event that you see the product cheaper anywhere else. The 0% finance can be used on both the cost of the products and the fitting. If you would like a quick quote and to find out how much your monthly repayments would be, fill in our online form or call us on 0141 638 0968.